It’s not a shocker that the idea of big/brother (government) was watching/spying over the citizenry was rejected for so long. 1) people trusted their government blindly for the most part 2) the term came from a dystopian fictional epic called “1984” by George Orwell. 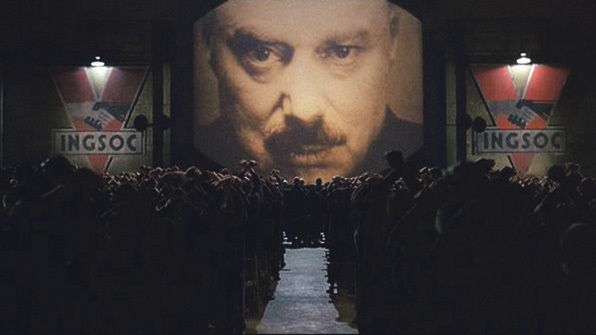 sourceThe phrase “Big Brother is Watching You” comes directly from that book, where TV have cameras and watch you at any time. The TV tells you what to do, what to wear, when to eat, etc. And this book was written in the 1940’s before there was even television! 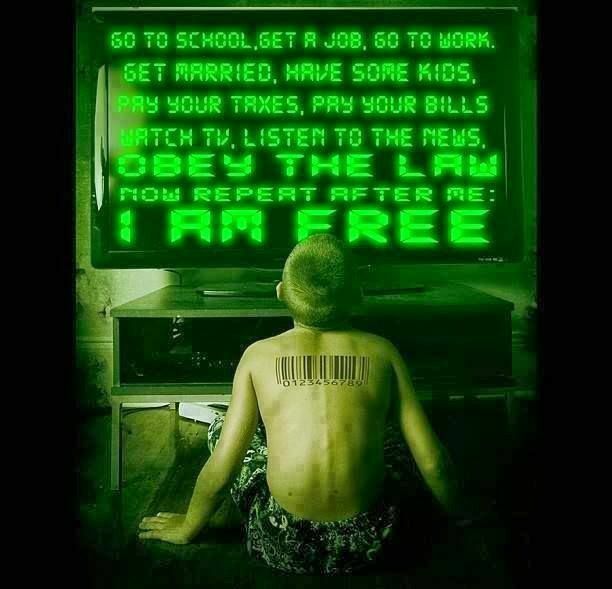 Seems eerily similar to our own lives, doesn’t it? Our TV’s shape and form beliefs in us that have us act to buy certain things, and live in certain ways. 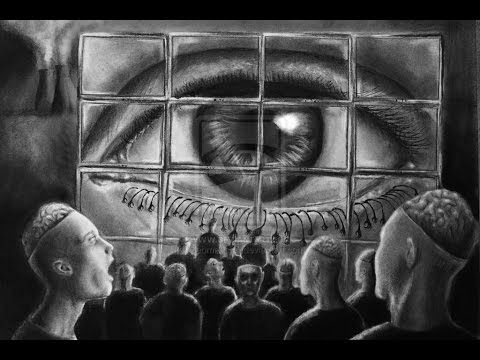 source1984 enacted a terrifying account of a future dystopia where “the Party” controlled all of society, all the time. Citizens were under constant control, taken to be reprogrammed at the sign of dissent and unconformity. The overseer of the whole state, was called Big Brother. This name stuck and became a term to refer to the abuse of civil liberties through mass governmental control, and more specifically through surveillance technology like was done in 1984. But mostly, people refereed to the surveillance state with only inklings of evidence and facts about how real Big Brother surveillance was in the world. It may not have been as large in the 1940’s, but it rapidly started to grow after the world war. Orwell saw the changing trends, and projected into the future with his novel 1984, published in 1948. 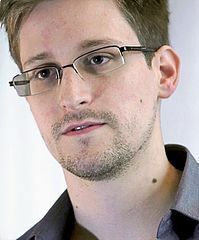 Then came Edward Snowden, to change the landscape of reality forever. Snowden released NSA documents detailing how governments around the world were spying on their own citizens, on a scale few could imagine. The NSA collects data from over 3 billions phone calls each day, with more than 200 million text messages stored as well. The NSA also mines data from ISPs and online companies like Facebook, Microsoft, Google, and Apple through the PRISM program. All of this was done without the need to go to a court to be allowed to do it. And all of this data was available by low-level NSA technicians. Getting approval for spying didn’t even require supervisor approval. Last year, Snowden announced another program being used called Smurf Suite. This allows governments to take control of your smartphone at any time. Such as turning on your microphone at any time and listening to you, even when you think your phone is off. This recent year, 2016, had the whole “terrorist” and Apple iPhone breaking into issue. Well, the government at least tried to get official court approval to break into iPhones… LOL. But seriously… all people had to do was open their eyes and look around them in the world. If not in their own town, then the region, or their country, or other allied countries. If the USA or Canada doesn’t have enough cameras to make you think about a surveillance state, then all you had to do was look over at the UK and see how many they had. Back in 2013, the UK had one surveillance camera for ever 11 people. 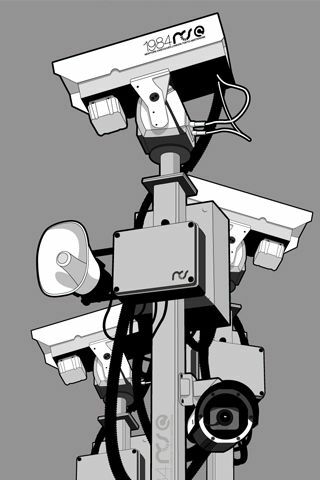 Even in 2009, there were 67 cameras for every 1000 people in the City of London financial district. sourceThe reality is in. You are being surveiled, whether you did something wrong, or not. The government and the minions who run it, are in hyper-fear, hyper-threat, hyper-preemptive offense mode, thinking anyone and everyone is a would-be terrorist, ready to bomb anyone and take all of our freedoms! They are indoctrinated into threats that aren’t there, waiting and ready for anything and trying to catch people before they do something. The only way to try to stop people from doing harm, is by setting up a total control surveillance grid, keeping us locked into a prison planet. sourceNo, that’s not a fake symbol. That’s a real symbol from a sector of the US government called the Information Awareness Office. The eye has become a renowned symbol for surveillance, and those who made this symbol knew that very well, telling everyone that they are being watched by Big Brother. If that’s not a direct sign and admission of mass surveillance on the planet, I don’t know what is! There is a reality of mass surveillance, keeping us under lock and key in many respects, holding us in a prison, where many of us are all too eager to act as both prisons and guards of our own cages, not wanting to be free, like those in Plato’s cave that didn’t want to see the substance behind the appearances. What we end up with, is some people still not accepted reality. They choose to be brain-dead automaton zombies who follow the narratives that the mainstream media and government scripts tell them about reality.